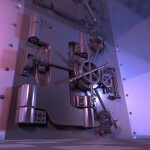 When it comes to security, we often think of things we can add to our homes to protect ourselves. Things like security cameras and alarm systems can help bring peace of mind, but first and foremost, your home should be structurally sound and durable. Namely, as a main point of entry, our front doors should possess the ability to withstand various weather conditions and considerable force. Learn more about the different types of doors and which type best suits your needs. Wood doors are often made of cherry, pine, maple, or fir and are known for their ability to endure different environmental elements. Their visual appeal can be tailored to your liking thanks to specialized craftsmanship and an assortment of wood stains. And depending on how they are made, these doors can provide varying levels of protection. Solid wood doors are made up of several different pieces of wood while solid core doors are made of one solid slab of wood. While solid wood doors are affordable, they lack the strength and heft of solid core doors. Solid core doors are dense and heavy and can provide a superior degree of defense against forced entry. The downside for wooden doors is that they will start to warp over time. Steel doors are arguably the most secure type of doors as they offer the greatest protection against intruders. However, dents, scratches, and chipping paint is quite common, and if these issues are not dealt with in a timely fashion, the structural integrity of the door may be compromised. When it comes to costs, they can be less expensive than fiberglass and solid core doors. Fiberglass doors are growing increasingly popular with homeowners thanks to their affordable cost, low maintenance, and benefits. Of the others, fiberglass doors are the most durable, energy efficient, and weather resistant. Since they do not warp, dent, or rust, they offer the best benefits of wood and steel doors without the major drawbacks. Additional security measures for your front door include high-quality, high-grade, deadbolt locks along with door jamb reinforcement. Door sensors are a smart investment as well. They can alert you when a door opens when you’re home, or trigger an alarm while you’re away. How do you secure your points of entry at home? What type of doors do you prefer? Share with us on Facebook, Google+, Twitter, LinkedIn, and Pinterest. Find the best prices on quality security cameras and CCTV surveillance systems at SecurityCamExpert.com. To learn more about our products and installation services, please call 888-203-6294. Smart homes are meant to simplify your life and increase your home security. Unfortunately, if not implemented properly, smart home devices can end up sharing too much of your information. Keep your home safe from hackers with these smart strategies. Investing in all the newest smart devices is enticing, but when it comes down to it, less is more. Think about it – the more devices you install, the more chances hackers have to target your home. Carefully consider what you really need. Choose the devices that will have the most meaningful impact on your daily life in a positive way. That way you get the most value for your investment while limiting your digital entry points. Although hackers can be a nuisance, they also help to make smart homes safer. They allow manufacturers to address weaknesses and vulnerabilities, thus enhancing smart home devices. In addition, there is security software that you can purchase and install to add an extra layer of protection to your system and devices. As research suggests, a home that appears occupied is less of an easy target than one that appears empty. When you leave for vacation, you may leave a light on or enlist timers to make it appear as if someone is home, but smart light bulbs can handle the work for you. Smart light bulbs are easier to use than traditional timers, allowing you to control them remotely and offering other useful features. Depending on the one you choose, features can include smart sensors which will activate in response to open doors or doorbells. This can act as an effective deterrent to burglars. Despite employing smart home devices, basic security measures should not be ignored. Remember to lock your doors and windows, refrain from announcing vacations or getaways on social media, and be sure your internet connection is encrypted and secure. Forgetting these things can leave your home and belongings susceptible to intruders. In terms of internet connections, without encryption, your smartphone and smart devices are useless. Because these devices require internet connection, without encryption, you are leaving your home open to hackers who may access your system, change your settings and physically and digitally access your home. As smart homes continue to improve, they will be able to offer more advanced features along with possible machine learning, providing a more personalized smart home experience. And although the future of this technology is promising, it also brings forth more risks. Combing the use of this advanced tech, as well as basic security tools can provide the optimal security solution. In addition, the need to educate the consumer is crucial. Before investing in these technologies, be sure that you know what potential threats and risks exist and how to combat them. What do you think the future holds for smart home security? Feel free to share your thoughts on Facebook, Google+, Twitter, LinkedIn, and Pinterest. 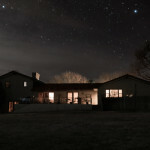 For traditional security cameras and CCTV surveillance systems, visit SecurityCamExpert.com. Please call 888-203-6294 for more information on our site surveys and security camera installation services. Staying connected to your home is a convenience in itself, but in the case of natural disasters and emergencies, it can be an invaluable tool. If you live in an area prone to extreme weather, you likely have an emergency plan in place. However, a connected home can provide new and safer options to manage the situation. 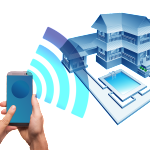 Regardless of whether it is your home, vacation property, or even the home of a loved one, here are some ways connected technology can benefit you in the face of an emergency and beyond. Unfortunately, emergency evacuations mean abandoned homes and properties, which is ideal for looters. 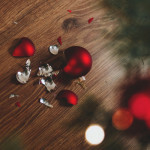 With connected security cameras, you can keep an eye on who might be entering your home, as well as monitor the possible damage occurring as a result of the natural disaster. Installing water sensors can alert you of flood conditions and even slow leaks, which can cause significant damage over time if not detected early. Aside from water sensors, carbon monoxide and gas detectors can save lives by alerting you when levels become dangerous. Connected devices such as smart locks and garage doors often have motion detection sensors which notify you when someone enters or exits your home. Because you can monitor from a safe distance, these are ideal in emergency situations. Push notifications provide up-to-date alerts which allow you to deal with situations in a timely fashion. Both enable you to monitor and understand what is going on without putting yourself in danger. Because these technologies seem so advanced, people often interpret this as complicated and expensive. However, this is not the case. There are various solutions on the market that offer relatively simple installation for cost-effective prices. Because the accessories and transmission processes have become more affordable over the years, connected technology is more accessible and easier to manage and maintain. You can possibly get a discount on your homeowner’s insurance if you install smart, connected devices. Many insurance providers are now offering discounts for those with smart homes. Some providers even partner with connected technology manufacturers to offer more incentives for customers. Furthermore, choosing smart devices for your home helps to relieve emergency personnel and law enforcement agencies. Instead of entering an area affected by a natural disaster, you can check in on your property remotely to stay out of harm’s way and avoid interrupting the ongoing work of emergency personnel. As a whole, connected devices can offer some peace of mind in stressful, dire times. While these devices can be extremely helpful in disaster areas, all homeowners can benefit from a connected home. 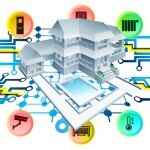 Are you currently using any smart devices or connected technologies within your home? Share your experiences with us on Facebook, Google+, Twitter, LinkedIn, and Pinterest. For the best affordable CCTV security and surveillance equipment, visit SecurityCamExpert.com or call 1-888-203-6294 today!